Glass is the finale to a trilogy that no-one knew existed, bringing together characters from Unbreakable and Split - two of director M. Night Shyamalan's best films - in a finale named after Samuel L. Jackson's Unbreakable villain. 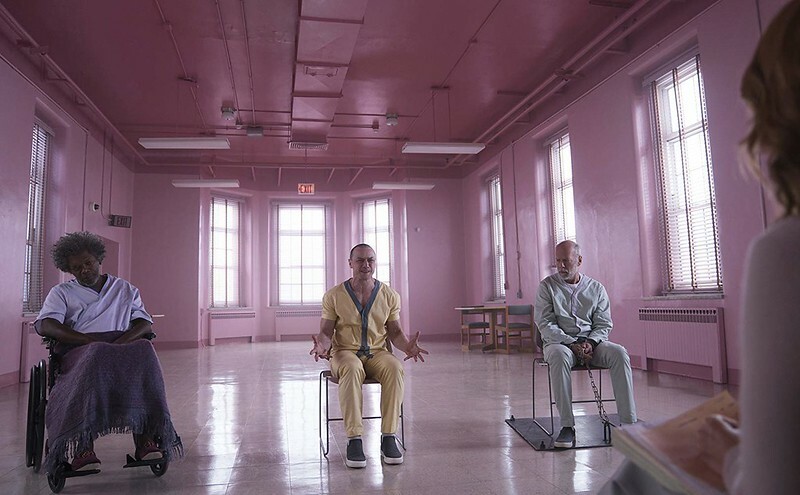 Shyamalan has been enjoying a riotous return to form over the last few years, so we've had high hopes for Glass. We've now seen it, so go ahead and read our review for a spoiler-free assessment, or find out whether it's worth waiting around for a post-credit scene. When is Glass coming out? Glass is out now in both the UK and US. That's only a couple of years after Split, but almost two decades on from the release of Unbreakable. Unsurprisingly, the film is led by the three main characters from the previous two films: Bruce Willis as David Dunn and Samuel. L Jackson as Mr. Glass - both from Unbreakable - together with James McAvoy as Kevin Wendell Crumb and his various split personalities from Split. Anya Taylor-Joy is also returning from Split - she was that film's heroine Casey - while the major new casting is Sarah Paulson as Dr. Staple, a psychiatrist investigating individuals who believe themselves to have superpowers. 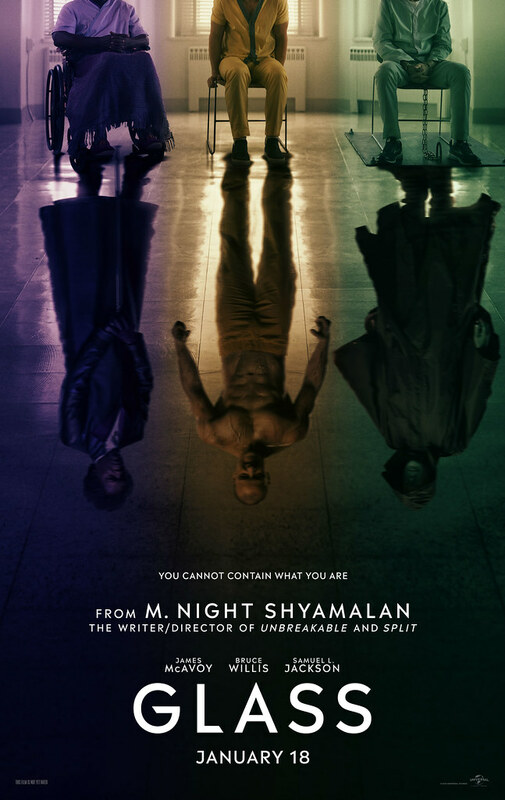 Just like both of the previous films, Glass will be both written and directed by M. Night Shyamalan - still probably best known for The Sixth Sense. He had a slightly dodgy run of films for a few years, but seems to be undergoing a resurgence. His last two films, The Visit and Split, were both big successes, and so hopes are high for Glass. First up, it might sound obvious, but be warned: spoilers for Split and Unbreakable are to follow. There was little indication that Unbreakable and Split were at all connected until the very end of Split, when Bruce Willis's David Dunn was shown in a diner watching a news report about the events of the film - the first confirmation of a shared universe between the films. The state at the end of that film was that McAvoy's Crumb - a.k.a. 'The Horde' - was at large, and clearly David was as well, though Jackson's Mr. Glass was presumably still in prison for his crimes in Unbreakable. Going by the trailer for Glass, clearly all three will end up in custody together, held by Paulson's psychiatrist/psychologist as she studies their 'delusions'. That means that two of the three need to get caught - we're guessing Dunn is going to go after Crumb early in the film, but they'll both get caught in the course of their fight, setting up the bulk of the film's plot. Clearly Glass and Crumb are going to decide they get along at some point in this process - with Glass using Crumb to stage a breakout, going by the second trailer - while from the look of things Anya Taylor-Joy's Casey will be brought in as part of Crumb's therapy. The second trailer also hints that Glass is still just working to fulfill his comic book fantasies, and wants to use Crumb to drive Dunn to reach his 'full potential' as a hero.